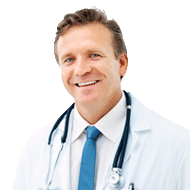 OzDocsOnline is now owned and operated by MedAdvisor. Your favourite OzDocs Services are still available, click here to read more. Find your doctor online to book an appointment, request a prescription, receive test results, request a referral or eConsult your doctor. OzDocsOnline is an eHealth solution designed to streamline practices by reducing administrative phone calls while improving patient satisfaction. Enjoy the convienence of booking your next appointment online. You can view your doctor's appointment book day or night in 'real-time' and select a time slot that suits your busy lifestyle. Use OzDocsOnline to consult with your doctor on non-urgent medical matters while saving the time and costs involved with visiting the practice. Using eConsult on OzDocsOnline gives you the ability to think through your problem and how to describe it fully prior to starting communication with your doctor, ensuring they have the most information to fully assess your symptoms. Enter you doctor or practice's name, suburb or postcode into the search box to Find Your Doctor Online. Click the Create Account button on your practice page. Access your doctor's online services. Check out our Patient FAQ for more info.